Dr. Laxmi Rathna is an established doctor in the city who believes that travelling is the only thing that can compensate for the hectic hours her work requires. “Travelling is something that keeps me focused, or else we just become part of the rat race in this busy life and ignore the real outside world,” she tells us. 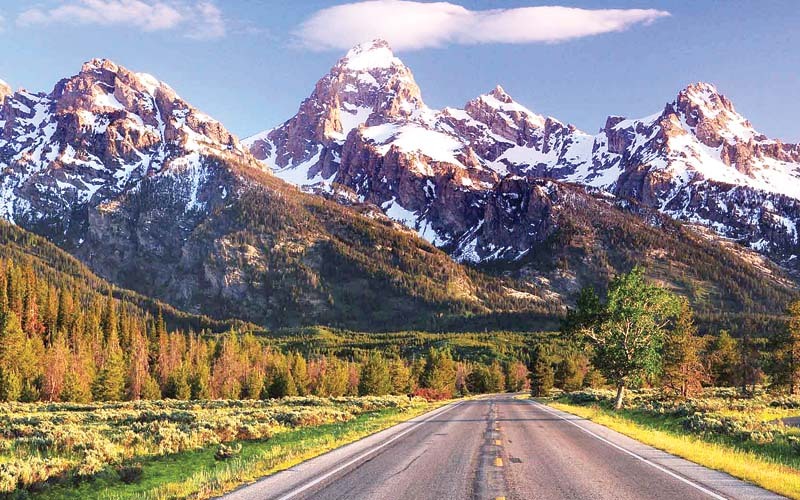 “I usually take some time off whenever possible to explore the wild and cherish nature.” The doctor decided to visit the famous Canadian Rockies along with her son on a 10-day trip that involved taking a road trip from Calgary, Alberta to Vancouver, British Columbia. It turned out to be quite an adventure! 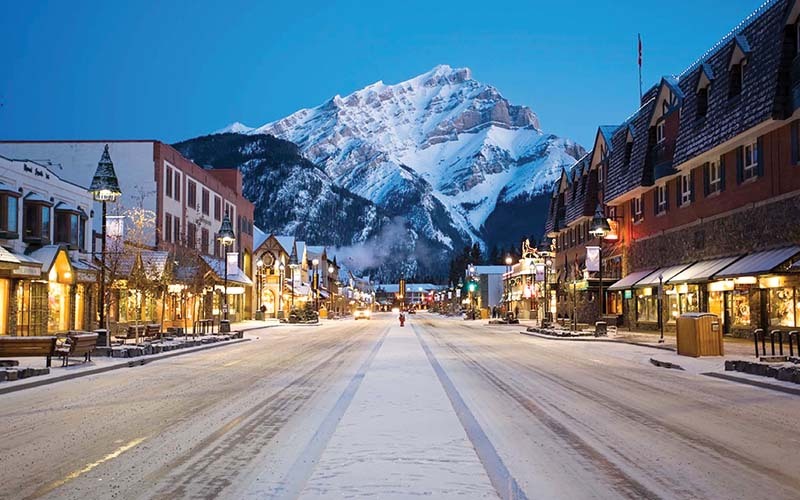 The first stop after starting from Calgary was at Banff Village, located right in the middle of a 2,500 square-foot national park. The duo decided to stay in the scenic little village for a couple of nights. “We visited some of the glacier water lakes which were a vibrant turquoise colour. The most famous was the striking Lake Louise shimmering right below Victoria Glacier,” Dr Laxmi says. “The most fascinating moment was when we rented a canoe for boating at the beautiful Lake Louise which was formed by the Victoria Glacier in all its shimmery magnificence. It is a memory that struck deep in my heart and I’m certain to carry it with me for a lifetime,” Dr Laxmi fondly reminisces. Utterly amazed by the variety of flora and fauna, conifers, cougars, the Bow Falls, and the Banff Gondola, she could hardly imagine that she would continue to be progressively more amazed as she went on. 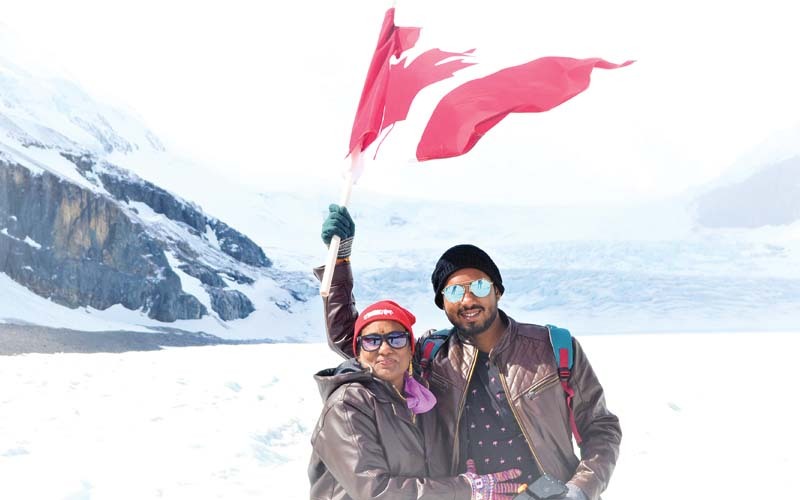 The next stop was at a quiet little town called Jasper where the mother and son stayed for a night so that they could see the jaw-dropping Columbia Icefield. The little town was surrounded by a vast rocky range and lakes where they visited the glass skywalk that gives one a magnificent birds-eye view of the Sunwapta Valley. Dr Laxmi and her son then moved south to Kamloops. The city is famous for its architecture and lively people, and this is where they rested a night and then continued on to Whistler. The town is known for hosting the 2010 Winter Olympics. Located in between the Whistler and Blackcomb Mountains, the town is famous for skiing in winter and mountain biking in summer. It’s surrounded by mountain ranges and a network of gondolas and cable cars. “I would recommend the peak-to-peak gondola ride from the peak of Whistler to the peak of Blackcomb to anyone who loves a little adventure, as it is the longest unsupported gondola ride,” Dr Laxmi gushes. The final leg of the journey was to Vancouver, also known as the Salt Water City, where the duo stayed for four days. The highlight of Vancouver was finally getting to witness the splendour of the Rockies covered in conifers.